Smart Time Management Decision Support instrument permits organizations to arrange and actualize their workforce all the more adequately and effectively. Thorough Time Attendance reports and point by point rundown. 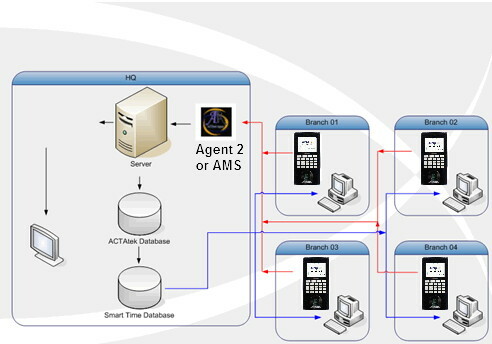 ACTAtek Smart Time has an AWARD INTERPRETER built-in. This award interpreter awards the correct pay rules i.e., allowances, hours of OT, OT types, work day rules, shift rules so that the worked hours are always given the correct payouts. This award interpreter also does holiday rules, shift types. When the roster is generated automatically, the shift patterns will all attract different pay rules e.g allowances. In most TA systems this award interpreter is missing. Eventually admin user will need to tick off or add the pay rules manually which can be in error due to human interaction. Each category of reports specifically has their value to the specific user and this is covered by the complex reports of ACTAtek Smart Time. "A single Click" list generator makes it simple to characterize employments and classes. Constant reporting for exact day by day examination. 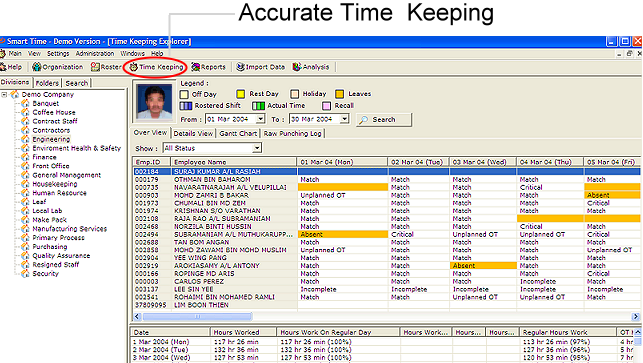 Suite of reports to produce including Time Card Reports, Trend Reports and so forth. Firmly incorporates with the Jakin ID stage for most extreme similarity.